President of Sony Worldwide Studios Shuhei Yoshida was featured in an interview recently and several of his comments have sparked debate in the world of the next-gen MMO. In the interview he stated that the subscription service for Sony’s Playstation 4, the PS Plus, will be required to enjoy the multiplayer aspects of some of the bigger launch games, while also saying titles such as PlanetSide 2 and DC Universe Online will be available for free. In that same interview he said The Elder Scrolls Online and Final Fantasy XIV: A Realm Reborn will both need PS Plus subscriptions, which has led me to thinking. If the developers are getting to choose whether or not they charge for additional features on the next-gen consoles, would they opt to do it differently depending on platform? Most industry analysts will tell you that the core fundamentals between console and PC players are quite polarized. The pay-to-play market has come and gone for the PC audience and the micro-transactions are currently leading the charge. However, console players have yet to really be exposed to any of these features outside of their original fee for purchasing the game. This concept leads me to believe that the next-gen MMO games that we’ll be seeing on Xbox One and Playstation 4, could quite easily force a PS Plus subscription, while the free-to-play version thrives on PC. It doesn’t make much sense to me in terms of the average player, but if a developer can see a way of milking any of the communities, you can be sure it will happen. The Elder Scrolls Online financial model has yet to be confirmed, but we do know you will need a PS Plus subscription in order to play on the Playstation 4. So if they go against current trends and offer it as a pay-to-play for PC, they’ll be alienating a large portion of players. Especially considering the average monthly price of a pay-to-play game when compared to the rather cheap annual costs of the PS Plus. What do you think? 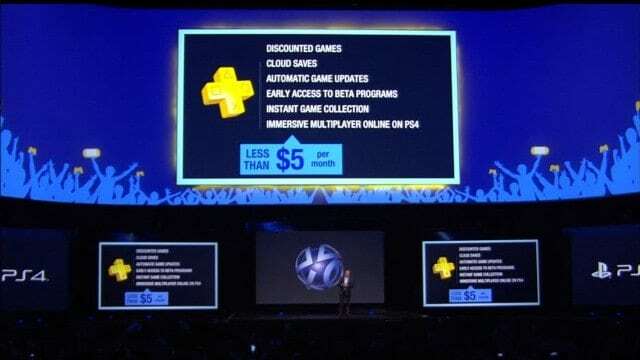 Do you think PS Plus only games will be pay-to-play or will developers opt for different models per platform?